however with this awesome offer, users will get 100 MBs to stay online all the time. To avail this offer, users need to write a code. 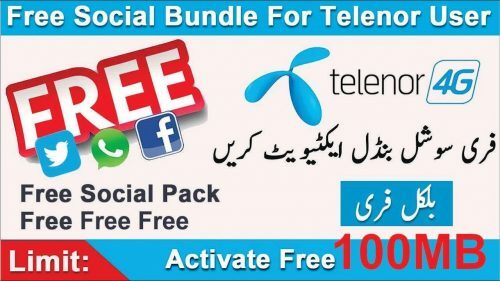 All Telenor prepaid customers can avail this offer by dialing *311#. So, simply dial this code and enjoy free incentives daily. The subscription will be valid for 1 day.